5 Things to Keep In Mind When Upgrading Your Computer! Are you thinking about upgrading your computer and equipment for your business or home, but don’t really know the where to start. There are a variety of options when start your search. https://computertroubleshooters.co.uk/wp-content/uploads/2018/11/computer-troubleshooters-3.png 0 0 briancraigie https://computertroubleshooters.co.uk/wp-content/uploads/2018/11/computer-troubleshooters-3.png briancraigie2013-09-27 09:51:592014-06-11 03:34:015 Things to Keep In Mind When Upgrading Your Computer! Who plans a funeral years and years in advance? Microsoft – that’s who! 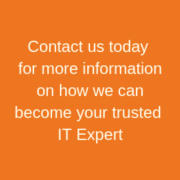 Do You Have a Reliable and Tested Backup System in Place? https://computertroubleshooters.co.uk/wp-content/uploads/2018/11/computer-troubleshooters-3.png 0 0 briancraigie https://computertroubleshooters.co.uk/wp-content/uploads/2018/11/computer-troubleshooters-3.png briancraigie2013-09-18 15:46:062014-06-11 03:34:01Do You Have a Reliable and Tested Backup System in Place?